A Water Orton 'windcutter!' 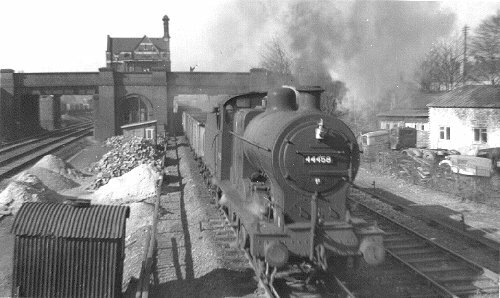 Ex LMS Fowler 0-6-0 4F 44458 passing Water Orton Station Junction and on to the fast lines to Kingsbury with a train of empty mineral wagons. A good fire at the back up to the firebox door and just a little down the front kept these loco's rolling. The pile of building materials between the running lines was for the new Station Junction Signal box. 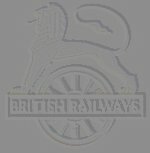 Wagons of coal etc. can be seen in the Station yard under the bridge left. The tin hut was the signal lampmans. The brick hut was the platelayers.